Sir Paul Edmund De Strzelecki was born on 20 July 1797 at Gluszyna, near Poznan, Western Poland, the son of poor gentry, without land or title. Strzelecki received his education in Poland. Failing to matriculate he briefly joined the Prussian Army. 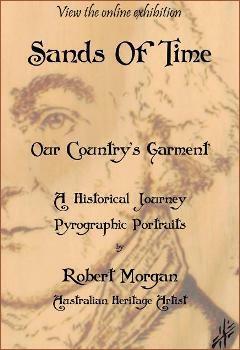 He subsequently travelled extensively in Europe before moving to England in 1830. In 1833 he travelled to the United States where he worked as a geologist until 1836 when he travelled down the western coast of the Americas studying mining. He joined the H.M.S. Fly and travelled across the Pacific studying many of the island groups before arriving in Sydney in April 1839. Strzelecki lived in Australia between 1839 and 1843 carrying out extensive geological surveys in New South Wales, ascending and naming Australia’s highest peak, Mt Kosciusko, travelling through Victoria and Van Diemen’s Land, and doing analyses of Van Diemen’s Land’s coal supplies. In 1843 he travelled to London where, in 1845, Physical Description of New South Wales and Van Diemen’s Land was published. He was awarded a founder’s medal by the Royal Geographical Society. In later life Strzelecki was active in Irish famine relief, established his claim as one of Australia’s first gold discoverers, was an active advocate of emigration to Australia, and was knighted in 1869. He died in London in 1873. Ernest Giles was born on 20 July 1835 at Bristol, England, son of William Giles, merchant, and his wife Jane Elizabeth, née Powell. Educated at Christ’s Hospital (where he was admitted as William Ernest Powell Giles) he followed his parents to Adelaide in 1850. He moved to Victoria in 1852, tried his luck on the goldfields without success and became a post office clerk in Melbourne. Giles was thirty years of age and working the back country of far north-western New South Wales before he made his first significant journey of exploration – west of the Darling River from Mount Murchison. This led to an invitation, in 1872, to lead a small expedition to Central Australia to explore west of the Overland Telegraph Line. His bid the next year to cross the country east to west was thwarted by the dry northern reaches of the Gibson Desert, so named for expedition member Alfred Gibson, who died there. However, in 1875, taking a route farther to the south, his party succeeded in reaching Perth, Western Australia, having survived the waterless stretches using camels as pack animals. On the return journey the following year, he again took a route through the northern Gibson, this time triumphantly overcoming the difficulties that had beset his earlier attempt. His reports on his finding won him the Patron’s Gold Medal of the Geographical Society, but his worthwhile contribution to our knowledge of the Australian hinterland was accorded little other recognition before he died in Coolgardie, Western Australia, on 13 November 1897. Edward John Eyre was born 5 August 1815 at Whipsnade, Bedfordshire, England. Eyre emigrated to Australia at the age of seventeen. He began a career as a grazier and quickly gained experience in ‘overlanding’ animals. In 1837, with Charles Sturt, he overlanded sheep, cattle, oxen and horses from Sydney to Melbourne. The following year he overlanded livestock from Sydney to Adelaide. This was the first time such a feat had been accomplished. In 1839 Eyre attempted to find a route from Adelaide to the Swan River. The aim was to find grazing land between South Australia and Western Australia. In spite of the expedition’s failure Eyre was undeterred and the following year he formed a more elaborate expedition which started to explore the area to the north of Adelaide – the interior of the continent. He discovered and named Mount Deception and Mount Hopeless. Forced back by desert and mountains he returned to Adelaide briefly, replenished his supplies, and then headed west. He was accompanied by only three Aborigines and one white man, John Baxter. The party headed off on 22 February 1841. On 29 April two of the aborigines killed Baxter and fled. This left Eyre and an Aborigine, Wylie, to traverse the Great Australian Bight. On 7 July they reached Albany. Eyre was later honoured by the Royal Geographical Society. From 1841-44 he was protector of Aborigines at Moorundie. Eyre left Australia in 1844. He subsequently became Lieutenant-Governor of New Zealand and held a series of administrative posts in the Caribbean. He died in England on 30 November 1901.